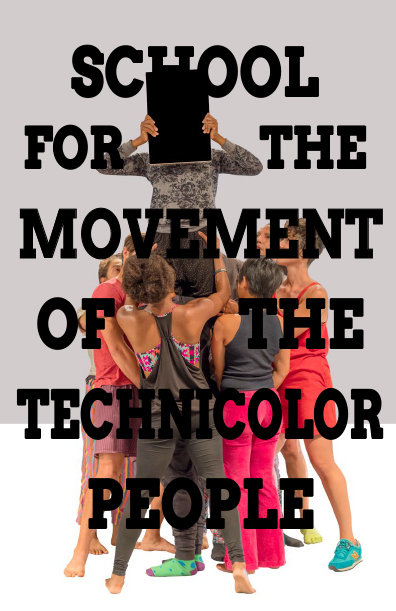 In this talk, taisha paggett, along with members of WXPT, will discuss the notion of the dance company and the curriculum as compositions of public and personal relations, which act as performances both visible and invisible. These thoughts will be discussed though paggett’s current collaborative projects, WXPT (We are the Paper, We are the Trees), The School for the Movement of the Technicolor People, and other recent work and sketches. We will discuss and physically lead some of the choreographic strategies and movement exercises developed with WXPT, which play with weight exchange, gravity, proximity and interdependence as architectural anchors within these long-form performance projects. We will address the role of the individual within the collective and the formation of a social structure—a school, a company—as a strategy for pushing up against the temporal and formal expectations of performance, the black dancing body, and notions of resistance.